With a large range of marquee tents available in different shapes and sizes, we are the best tent hire company in the whole of Durban South. We stock a huge number of tents that are adaptable to different kinds of terrains. 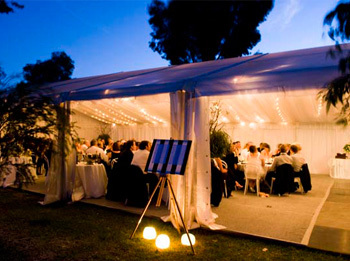 Our marquees are handsome, stylish and affordable and will give a lasting impression on your guests. Whether you need to host a small event for your friends and family or a large party, we are capable of delivering the tents you need. At our company, customer satisfaction comes first. We therefore ensure that we provide all the services you need, from delivery to assembly and removal. Whether you want to book in advance or need a tent at a short notice, you can rely on us to provide the best product for every occasion. We also offer a wide range of gazebos for hire that are available in a wide range of colours and sizes and if you’re looking for something extra special, you might consider one of elegant Bedouin tents. Whether you need a wedding tent or a party tent, we have exactly that. We are experts in this field and we will make any customizations if necessary. Get in touch with the leading marquee & tent hire Durban South company today on 031 100 1905!